The Covington/Mainstrasse shop was established in 1997. It was the first tattoo studio in the area. 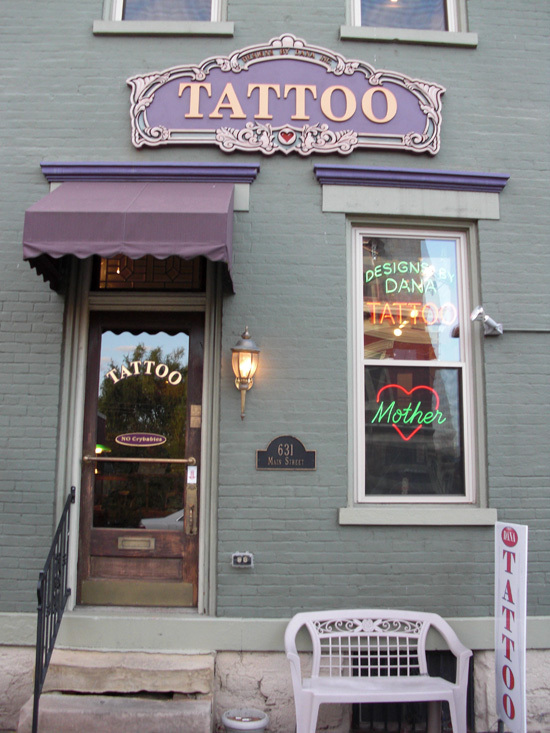 The Victorian architecture of the building and the feel of the Mainstrasse area seemed perfect for an antique style "tattoo parlor." We decorated with antique wallpaper, photos of tattooed circus people, a case with antique tattoo items on display, and antique furnishings. While the front room appears vintage, the work area is a modern, comfortable space. The artists Tommy, Nate, Steve, and Carter offer a wide range of artistic styles. We hope you enjoy the Mainstrasse area while visiting our studio. 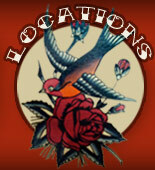 Check out our other shop location in Cincinnati, OH.